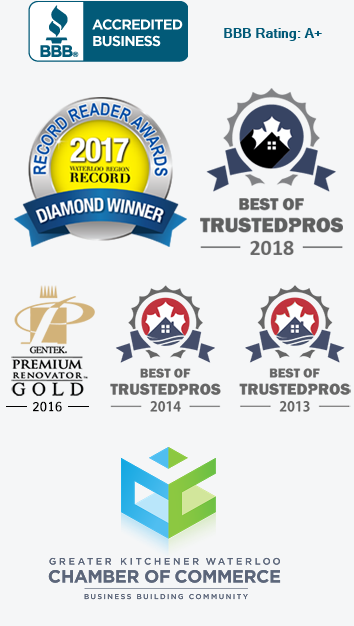 Westmount Craftsmen installs Gentek windows that are built with exceptional features, they provide superior quality, energy efficient windows and have a certified lifetime warranty. Westmount Craftsmen installs Gentek 400 series windows since they are high quality & provide outstanding features for your family & maximize the energy efficiency of your home. Westmount Craftsmen installs a wide variety of entry doors that enhance the look of your house, energy efficient and provide security due to their solid built to maximize strength. Westmount Craftsmen installs quality & sturdy patio doors that provide a powerful thermal barrier, block UV rays, energy efficient patio doors, reduce condensation & outside noise. Your windows and doors serve a two-fold purpose for your home. They are functional, of course, while also serving as aesthetic accessories to your home’s architectural design. When you work with Westmount Craftsmen, we make sure you’re left with attractive, energy efficient and low-maintenance doors and windows that increase the value of your home as well as your day-to-day living experience. Most of our installations are in the Kitchener Waterloo area. Replacing your house windows and exterior doors is a serious undertaking so you want to make sure that you select the right products, and that they are installed correctly. We think of your house as a Home, not just another job site. As such, we work carefully with you from the beginning to ensure we get each window and door exactly right. Why are you replacing your doors and windows? This is the first question we’ll ask during your design consultation. Are your current models outdated? Are you noticing that they are leaky, drafty, or require more frequent maintenance than they should? Are you interested in vinyl windows that suit your taste and style a little better than the ones you have now? This will help us to guide you in the right direction so you have a more focused selection of windows and/or doors to choose from. What type of window is the most popular? Typically, our clients prefer to install vinyl windows with wood frame interiors because they are a energy efficient options and cost effective. How do we know which type of exterior door to select? The style of door you select for the exterior and interior of your home depends on your home’s architecture as well as the doors’ applications. Contemporary front doors look very different from traditional styles, patio doors are different than French doors and your formal dining room doors will differ from bedroom door designs. Our team is always happy to make recommendations based on our consultation. The direction your house faces, taking wind and weather exposure into account, will also affect our door recommendations. Why use us for Window and Door replacements? You won’t find anybody else who cares more about customer satisfaction and the final outcome of your renovation project than we do. Our installers are all experienced, courteous and conscientious in their work. Because we perform full home renovations, we understand the importance of your home’s envelope when it comes to interior comfort and energy efficiency so your exterior window and door replacements will never compromise your home’s structural integrity. Our quality of workmanship is top notch and the goal is to ensure your windows and doors are so perfectly installed that you’ll never have to call us back…unless you’re ready for another home renovation of course! We provide a quick turn around on our pricing estimates so you can make decisions in a timely manner and we can get to work. Give us a call at (519) 635-7089 or fill out the form below to schedule your consultation. Our team looks forward to working with you.